As PR professionals, we sit equidistant between our clients and journalists. We serve both, making sure clients are well represented, and journalists are well informed about the topic at hand. This sometimes surprises our clients, some of whom believe it’s our job to shepherd their message to reporters without question. But, in fact, ours is a job of judgement: is what we’re presenting to media true? Or, is it propaganda? And always: is it newsworthy? When we work with reporters, they count on us to bring vetted facts and informed spokespeople, helping them produce content that is valuable to their readers or viewers, relevant to the times and true. Nothing gets under our skin more than those who call PR pros “spin doctors” which assumes hyperbole at best, or hogwash at worst. Indeed, we like to say, “Fluent PR works to m ake sure your reputation contributes to your bottom line.” And lies or half-truths do not a good reputation make. Given our role in maintaining client credibility in news coverage, we find a certain defensiveness in the credibility of news media overall. While fake news is nothing new (National Enquirer headlines have long made the grocery line more entertaining), piling all journalists into a fake news heap is a lazy excuse for not becoming better media consumers. While social media has allowed anyone to create and share news, from bots and Breitbarts to Alex Jones and anyone jones-ing for an audience, to be a journalist is to hold oneself to ethical standards. These include truth, accuracy, objectivity, fairness and public accountability. 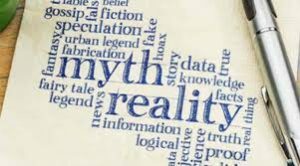 One can argue, and many do, the liberal or conservative leaning of media outlets, but true journalism, even with its discernable lean, is based on facts. Regardless of one’s political stripe, we should all invest in media literacy and accountability. Check the sources for stories that clearly set out to inflame and polarize. And check to see if those stories are covered by other outlets. If not, question their veracity. Support legitimate media. Subscribe and think twice before blocking their ad content. By eroding ad revenue, one erodes content quality. You can’t expect one without the other.